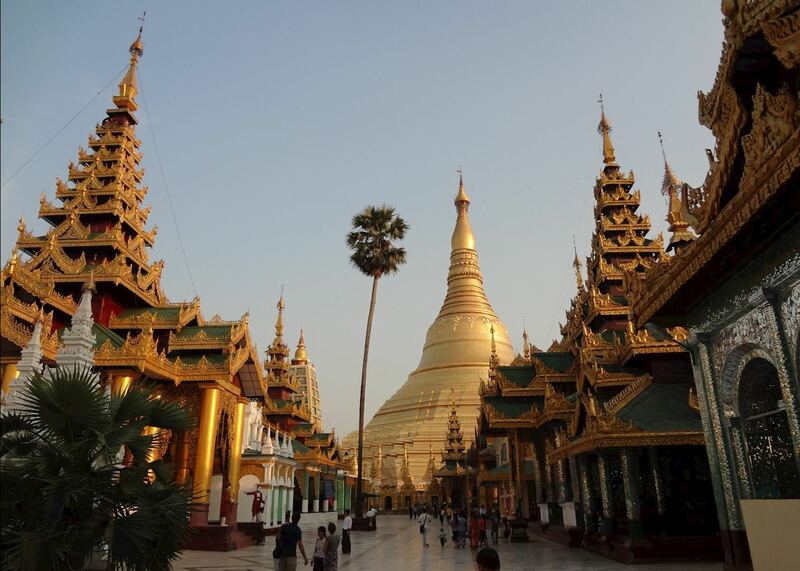 At around 4pm in the afternoon you'll be met by your driver and guide for a visit to the famous Shwedagon Pagoda. Visiting at this time affords a wonderful opportunity for people to watch as the city's residents come to pay their respects after finishing work or school. 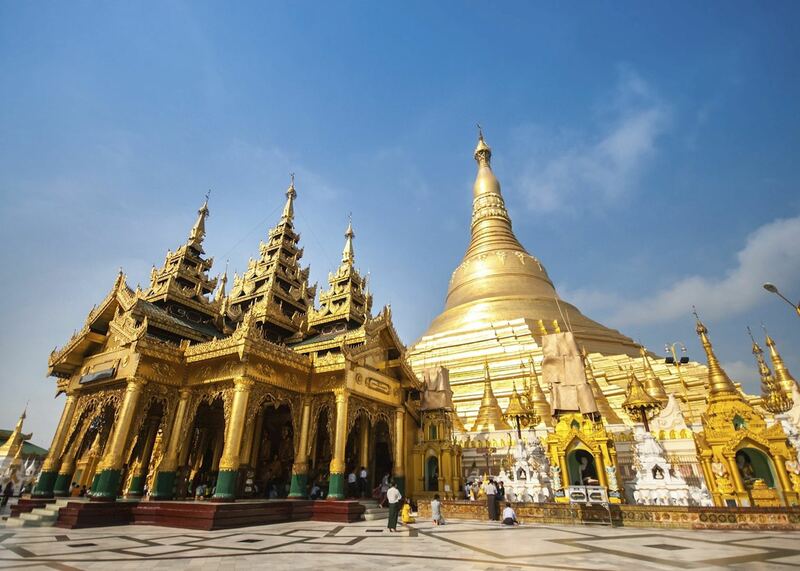 At around 4pm in the afternoon you'll be met by your driver and guide for a visit to the famous Shwedagon Pagoda. Visiting at this time affords a wonderful opportunity for people to watch as the city's residents come to pay their respects after finishing work or school. It's worth finding a quiet spot to sit and soak up this magical atmosphere as the sun dips below the horizon and darkness falls in this most sacred of places. After a visit to the pagoda your guide will accompany you to 19th Street. This small side street in Chinatown comes to life at dusk as locals gather here after work to enjoy cold draft beers and a barbecue. Find a busy stall and order a cold Myanmar Beer (cost included) and enjoy the hustle and bustle of this popular spot. Your driver will be available to return you to your hotel or take you to a nearby restaurant for dinner. of our Burma (Myanmar) clients would recommend us to a friend. After the devastating effects of Cyclone Nargis in May 2008, Audley wanted to raise funds to help a community affected by one of the worst natural disasters of all time. Our local agent in Burma helped us to identify a small primary school in Paya Ngoto village which had been virtually destroyed and was in desperate need of a donor to help rebuild the school and move the 55 students out of temporary bamboo classrooms back into the main schoolhouse. This morning you'll enjoy a flexible tour of Yangon with your driver and guide. 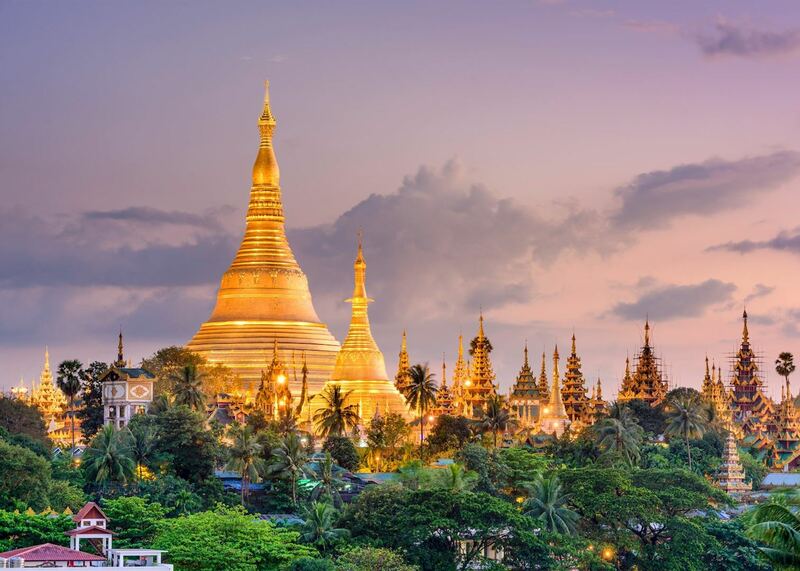 The highlight of your tour will most certainly be a visit to the Shwedagon Pagoda, the jewel in the city's crown.